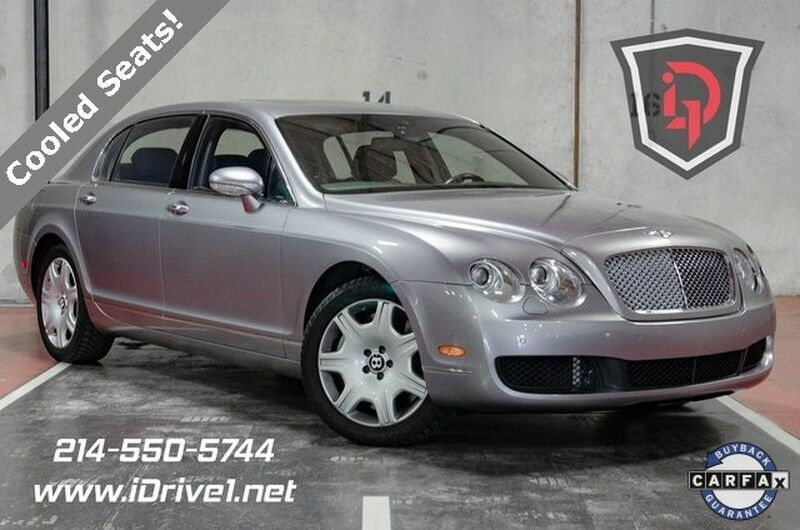 Can you believe its possible to own a Bentley for this price?? And in this Condition?? Navigation System, Heated front seats, Heated rear seats, Power trunk closing assist, Rear dual zone A/C, Ventilated front seats.Leather, Auto-leveling suspension, Electric Glass Tilt & Slide Sunroof, Front dual zone A/C, Fully automatic headlights, Clean CARFAX. 6.0L W12 Twin Turbocharged AWD ZF 6-Speed Automatic with Tiptronic We have financing options for everyone! Call for vehicle details and availability. Showroom: 214.550.5744. IDrive1. You should 2!